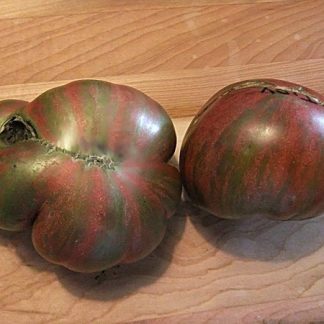 “Tennessee Suited” is a 6-10 ounce smooth oblate purple fruit with vertical green stripes (clear skinned black with stripes), regular leaf dwarf, very good yield, very good flavor. 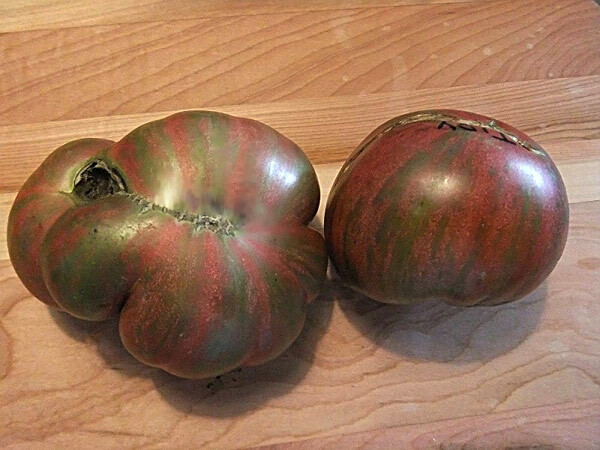 After one of the Alaska volunteers said she saw a striped tomato late in her Alaska season, I was sent some seeds and found it the next season here in Tennessee. 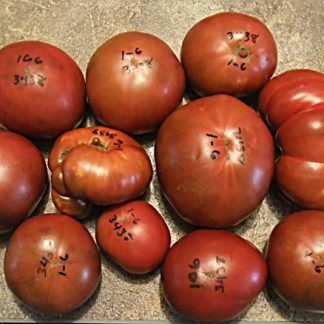 We did some selections and growouts, and now, it is available to the public. It is named after the place where it thrived (Tennessee) and the two people who believed in it. 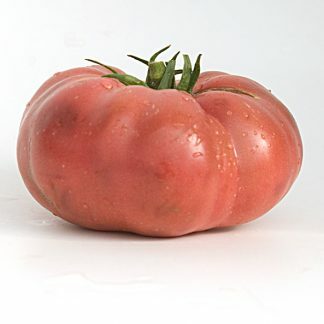 Enjoy this great tasting and colorful new variety. Does well in containers.